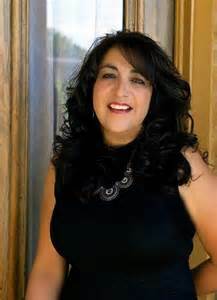 A Sincere welcome goes out to Ruth D. Seawolf as newest member of the Dream Home New Mexico "Dream Team"
Please join us in welcoming Ruth to her new Silver City Real Estate Home, My Real Estate Company. Ruth is known as a great team player and she will be an asset to My Real Estate Company and the Silver City Real Estate Dream Team. Silver City Homes for Sale. New Mexico vacant land. Grant County Commercial properties. Farms and Ranches too. Browser Issues. Have you had this happen? Silver City and Grant County Premier New Mexico Real Estate Search. © 2018 Multiple Listing Service of the Silver City Regional MLS. All rights reserved. The data relating to real estate for sale in this web site comes in part from the Internet Data Exchange ("IDX") program of the Silver City Regional MLS. Real estate listings held by other than Alan Archer / Dream Home New Mexico .com are marked with the IDX logo. All information on this site is deemed reliable but not guaranteed. All Rights Reserved 2004-2018 Dream Home New Mexico L.L.C.